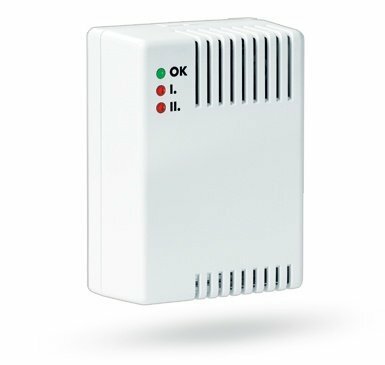 The Jablotron GS-133 gas leak detector responds to flammable gases (natural gas, city gas, propane butane gas, etc.) by sending a fire alarm signal. He detects 2 levels of concentrated gases.